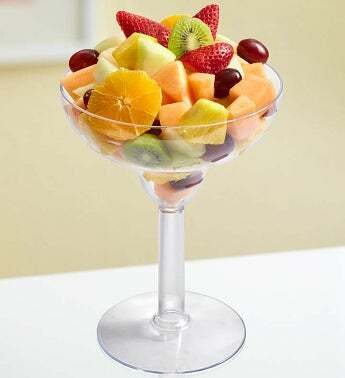 This is our kind of fruit cocktail! 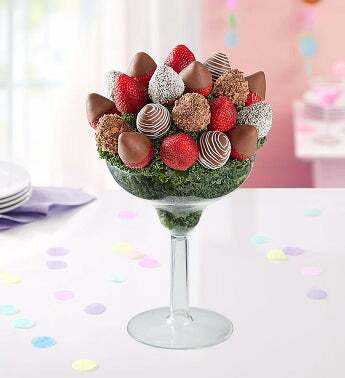 Plump, juicy strawberries sit beside delicious strawberries dipped, swirled, and decorated with the tastiest toppings. We serve it up in an oversized margarita glass so that you can celebrate and share with all those sweet people in your life. Cheers!